Sarah Palin’s account of her infamous interview with “the perky one” is not the whole story. Shushannah Walshe on what Going Rogue gets wrong about the TV showdown that doomed her. In Sarah Palin’s new memoir, Going Rogue, the former vice-presidential candidate spends considerable time revisiting her infamous series of interviews with Katie Couric. • Tina Brown: Sarah Drops the Act • Mark McKinnon: How Palin Helps Bloomberg Palin does not, however, spend much time taking responsibility for her own mistakes. Instead, she accuses the CBS Evening News anchor (“the perky one,” as she referred to Couric on Oprah) of bias and holds the McCain campaign to the fire for setting up the seven interviews, which were held over the course of two days. Accounts of inaccuracies and embellishments in Going Rogue have already been widely reported, but Palin’s retelling of the Couric story is particularly ridden with questionable claims and glaring omissions. Gotcha Questions: Palin blames Couric for focusing on “gotcha questions.” Palin writes, “But Katie’s purpose—shared by most media types—seemed to be to frame a ‘gotcha’ moment. And it worked.” She then takes some accountability, writing: “Instead of my scoring points for John McCain, I knew that I had let the team down.” Yet inside the white, 12-passenger van in Columbus, Ohio, where Couric sat with executive producer Rick Kaplan, her researcher, and my co-author, as they discussed potential questions before one of the interviews, the conversation was quite different. When my co-author suggested a complex foreign-policy question, Kaplan immediately shot down the idea, insisting that it was important to avoid any semblance of “gotcha questions.” When Couric mentioned that she would ask Palin what she read, everyone in the van agreed it would be a great way to get a better sense of how Palin—a politician who was still brand new to the national scene—obtained her information. 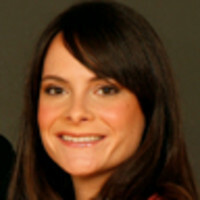 Shushannah Walshe was a reporter and producer at the Fox News Channel from August 2001 until the end of the 2008 presidential campaign.